He reached out to a couple of people, including frontman, Frank Meyer (Streetwalkin’ Cheetahs), who played with Williamson on his previous L.A. show for his solo album, Re-Licked. “I knew he could sing and I knew he had a good stage presence,” Williamson divulged. “But I didn’t know if he could write lyrics. 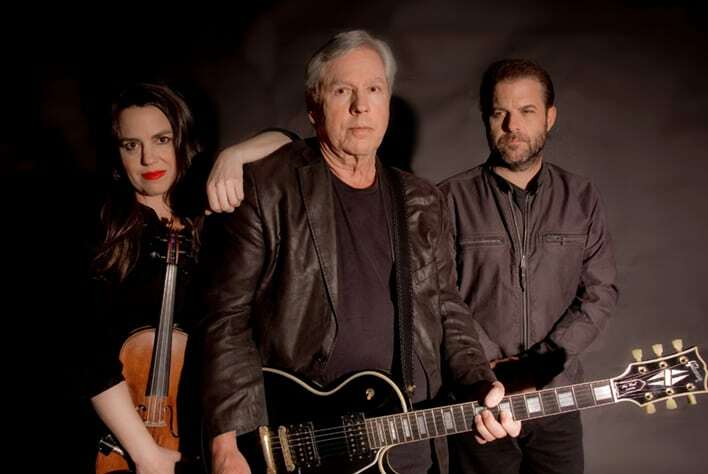 All of this songwriting resulted in the album Behind the Shade, a new project called James Williamson and The Pink Hearts which not only features Williamson on guitar and Meyer on vocals but also vocalist/violinist, Petra Haden. The group will perform for the first time Jun. 29 at the El Rey Theatre in Los Angeles followed by a show in San Francisco, marking the live debut of the new material. If all goes well, more dates will follow. “We’ll focus on the album but that’s only 11 songs and so that’s not enough for a set,” Williamson explained. “So, we’ll kind of dip into my old catalogue and pull out another 9 or 10 songs and fill out the set. Joining the trio on stage will be the regulars from the album, drummer Michael Urbano (Smash Mouth), bassist Jason Carmer (Cat Power), and keyboardist Gregg Foreman. Andrea Watts, who wasn’t on the album but who played with Williamson on his last Los Angeles show, will be doing backing vocals. 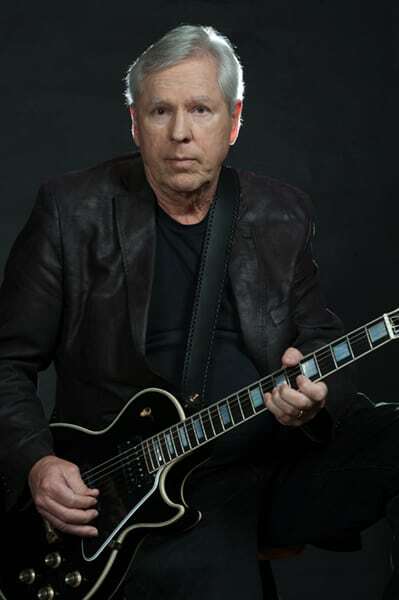 Williamson has long been noted for both his aggressive guitar playing and sound on 1973’s Raw Power, a classic, explosive, rock album put out by Iggy and The Stooges. His amp-guitar combination came from a suggestion by the engineer at CBS Studio when they recorded in London. “My go to guitar is a Gibson Les Paul Custom,” Williamson stated. “I’ve pretty much played that for my entire career. Yes, I’ve had many other guitars. And yes, I had many other guitars before I started playing those but that was the guitar that sort of established my sound on Raw Power and that along with the Vox AC30 is kind of my sound. He still prefers to keep his guitar effects “old school”, using a treble boost pedal for a little extra sustain when playing solos. That’s pretty much it. Williamson put his guitar aside for the tech world for many years, claiming both things required total commitment. Picking it back up was difficult, but he managed. “Probably the more amazing thing was that I managed to do the tech thing which was really a big sort of existential gap,” Williamson laughed. Fortunately, he has picked his guitar up again and with renewed songwriting, a little bit Americana, a little bit “Stooges”, the new music fits nicely with the new millennium.